Human. 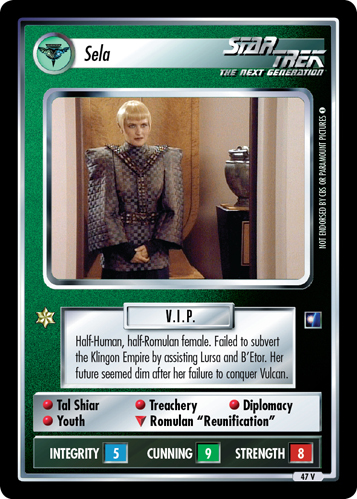 Former partner of Q. Marooned in Gamma Quadrant but rescued by Jadzia Dax. 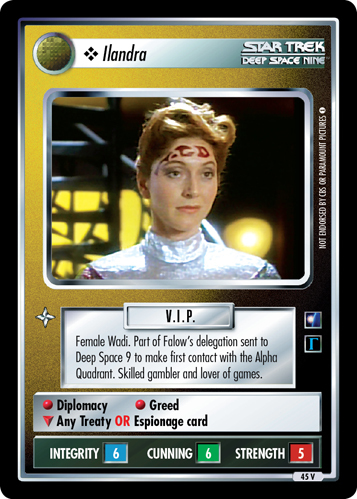 Brought a dangerous crystal artifact aboard Deep Space 9. • Greed x2 • Archaeology x2 • Treachery • Anthropology • May report at any facility.